Powerful Performance: Surf at top speed. Use a device that offers the latest in bandwidth, speed, and performance - ideal for streaming videos, sending emails, and keeping your social status up-to-date while on-the-go. 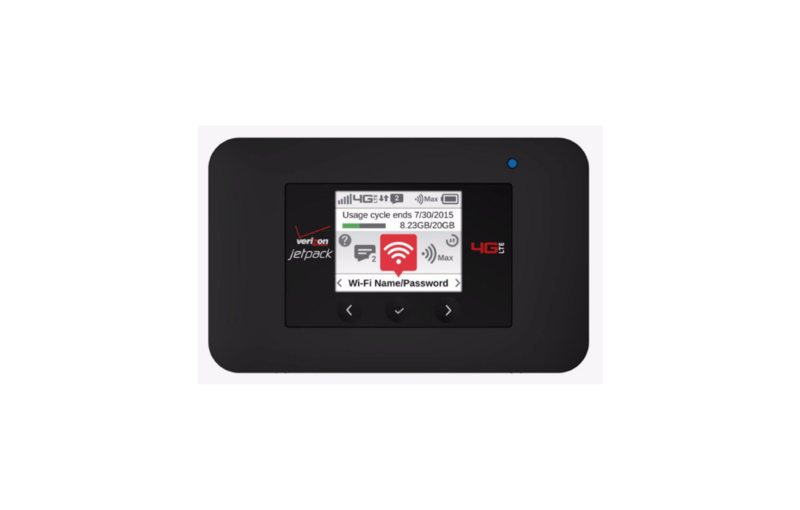 Bring UNLIMITED fast, secure Wi–Fi across town or around the world with the Verizon Jetpack 4G LTE Mobile Hotspot—AC791L. Use it for up to 24 hours and connect up to 15 Wi–Fi–enabled devices such as laptops and tablets to America’s largest, most reliable 4G LTE network. You can even use it to charge a smartphone. For Verizon coverage please select the appropriate coverage (4G LTE, 3G/1X, etc) by click the three dashes icon in the search box. The NETGEAR® LTE Gateway 6100D can give you up to 4G LTE speeds as a hotspot if you're on the move. 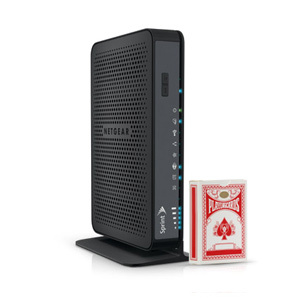 Combines LTE wireless broadband technology with 802.11ac Wi-Fi and Gigabit Ethernet. Comes with 12V DC, 2.5 A power adapter. With this sleek, portable intelligent hotspot, you can enable your broadband experience to any Wi-Fi enabled device such as laptops, cameras, mobile phones, personal media players, and more. As it supports up to 80 simultaneously connected Wi-Fi enabled devices, you can share your high-speed connection with co-workers and customers. Plus, forget about messing with cords, cables or software. 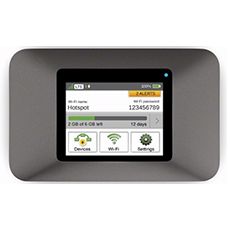 The NETGEAR® Zing Mobile Wifi Hotspot for Sprint can create a secure, private network almost anywhere in the world. Connect your favorite WiFi-capable devices to the Sprint nationwide 3G & 4G LTE network, including tablets, laptops, and more. Up to 10 devices can connect at once to stream videos, browse the web, and more. A touchscreen menu makes it easy to manage WiFi connections, password settings, and more. When you have the Zing Mobile Wifi Hotspot you have the World Wide Web in your pocket no matter where your travels take you. Never be stuck looking for public WiFi again. With this sleek, portable intelligent mobile hotspot, you can enable your broadband experience to any Wi-Fi enabled device such as laptops, cameras, mobile phones, personal media players, and more. As it supports up to 10 simultaneously connected Wi-Fi enabled devices, you can share your high-speed connection with co-workers and customers. Plus, forget about messing with cords, cables or software.